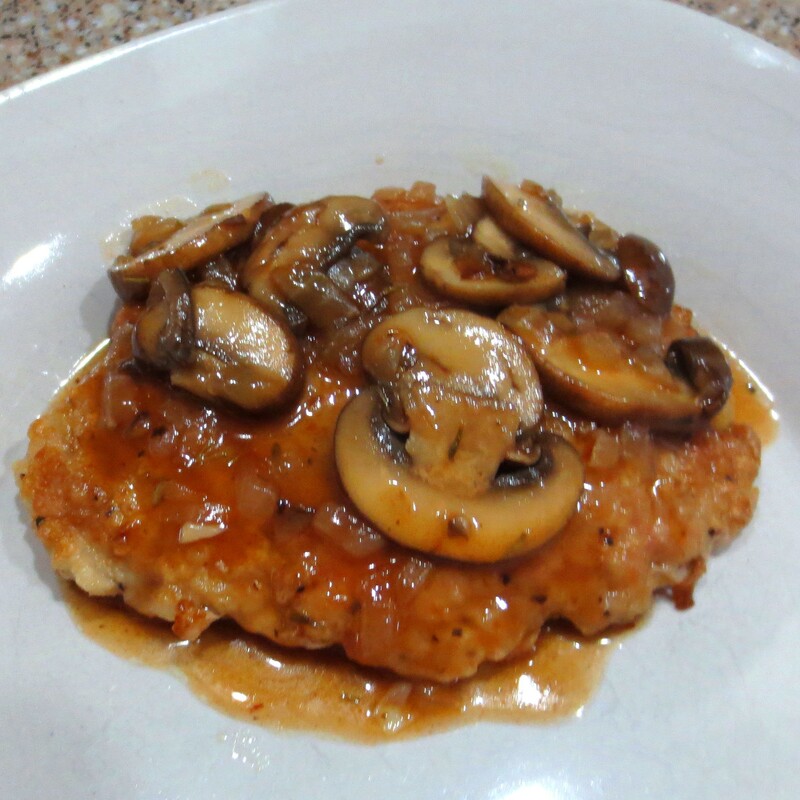 In this dish, pork cutlets are dredged and sauteed as you would a chicken breast or fish fillet. A rich Marsala wine sauce adds the finishing touch. 1. Preheat the oven to 300°. 2. In a shallow dish, whisk together 1/4 cup cornstarch, the flour, salt, and pepper. 3. In a large skillet over medium high heat, warm 2 Tbsp of oil until hot. 4. Cut the pork cutlets into serving sized pieces and dredge in the seasoned flour. Working in batches, add them to the hot pan and cook until golden, about 3 minutes on each side. Place the cutlets on a baking sheet and transfer to the oven to keep warm. 5. Add the remaining Tbsp of oil to the pan along with the onion. Reduce the heat to medium and cook, stirring constantly, until the onion is slightly soft and beginning to brown, 1 to 2 minutes. Add the thyme and mushrooms and cook, stirring often, until tender and lightly browned, 3 to 5 minutes more. Stir in the Marsala and simmer until slightly reduced, about 1 minute. 6. In a small bowl, whisk together the remaining 2 teaspoons of cornstarch, the broth, and tomato paste to form a smooth slurry. Stir into the mushroom mixture, return to a simmer and cook, stirring constantly, until the sauce is thick and glossy, about 4 minutes. 7. Spoon the sauce over the warm pork cutlets and serve immediately.